FUNOANALISITECNICA Articoli inglese Ferrari SF70H Gp Canada Mercedes W08 CANADIAN GP: what should we expect from the Ferrari SF70H? CANADIAN GP: what should we expect from the Ferrari SF70H? And here we are with the 7th grand prix of the season, that Canadian GP waited so long by many, because it will be a crucial weekend considering the fact that Sebastian Vettel and his “Gina” are currently leading the drivers’ championship (25 points ahead of Lewis Hamilton). The circuit of Montreal, inaugurated in 1978 and named after Gilles Villeneuve, is 4.361 meters long and is composed by 14 corners, 9 right-handed and only 5 left-handed. From an aerodynamic point of view it will be very important to have a car with high top speeds to be exploited mainly on the long straight situated in the third sector: it is for this reason that the Teams will use low downforce setups. 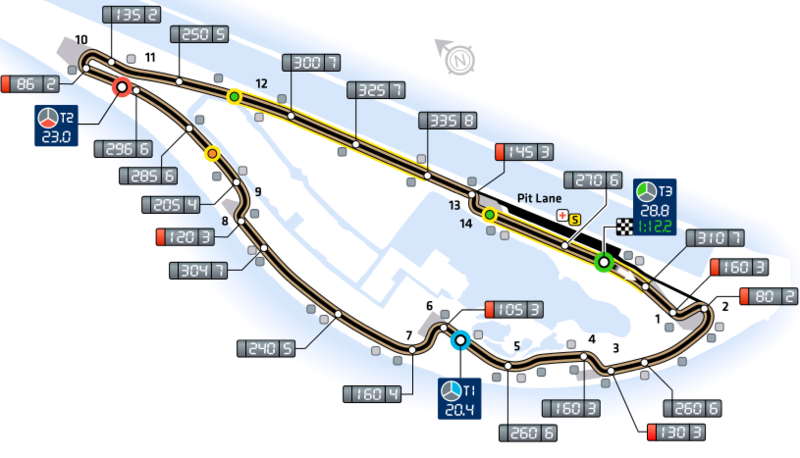 In the last part of the circuit it is possible to use the DRS two times, on the two long straights separated by the last chicane (where is located the famous “Wall of Champions). To try to overtake (or to avoid the overtakes), the Teams will bring low downforce wings, mainly the rear ones. What happened last year? At the start we have the same situation of the Australian Grand Prix. Vettel passes both Mercedes and takes the lead. After 11 laps, unfortunately, the VSC is deployed. The Ferraris surprisingly pit on SuperSofts while the other cars stay on track. The UltraSoft compound turns out to be pretty constant and as expected, Hamilton takes the win on a one-stop strategy. There are two main aspects to be taken into consideration to be successful at the Canadian GP, and these are the speeds and the reliability of brakes. A very performing Power Unit will be needed, and so Mercedes and Ferrari are quite confident, both for the endothermic and the electric part. The endothermic engine will have to ensure, in addition to a great quantity of power given the fact that nearly 70% of the lap is flat-out, a very good efficiency (this because fuel consumption is one of the most critical factors on this track). Another fundamental point in order to try the overtake on the long straight before the last chicane is a perfect traction out of the Epingle hairpin, coupled with a correct heating of tyres to avoid their sliding. Important thing to point out is that Pirelli hasn’t made the use of the Soft compound compulsory, and so drivers can decide to replace it with the SuperSoft. 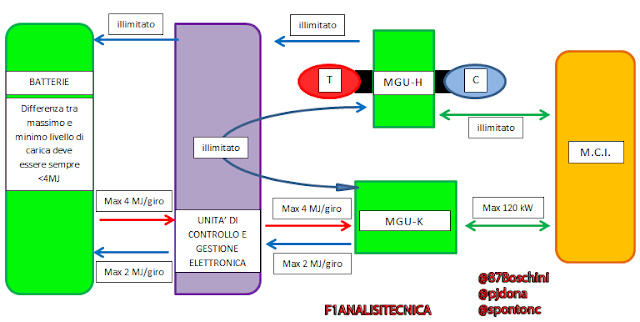 For what concerns the electric part, the canadian track is very tough on the MGU-K; It will then be fundamental to have a Power Unit that can recover energy from the MGU-H quickly. The track of Montreal can be considered a “stop & go” circuit given that there are four long straights where speed reaches values above 300 km/h, divided by slow second gear corners where speed reaches values well below 100 km/h. This makes Montreal a troublesome track also for brakes. CANADIAN GP: will it be a one-stop race? 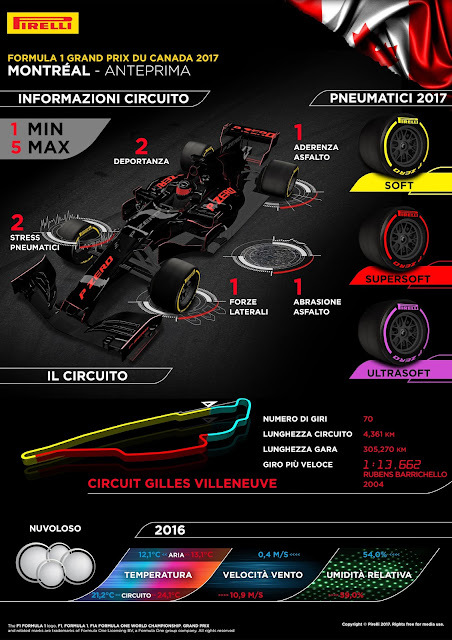 The compounds chosen by Pirelli for this race are exactly the same as the ones already used last year in the same Grand Prix, namely the UltraSoft for the Qualifying and the SuperSoft or the Soft for the race. 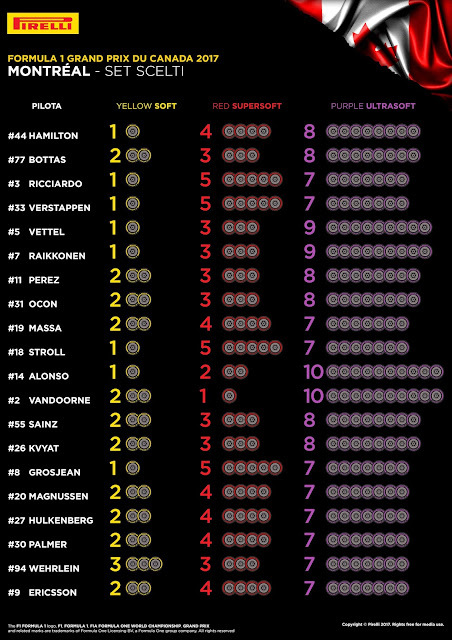 As already happened in Monaco the Teams/drivers chose the number of sets of tyres to be used during the weekend. And we have quite diversified choices with Mercedes that, given the problems on the softer compounds, chose to try at least with Bottas the consistency of the race pace on the hardest compound (Soft). The US last year did 24 laps out of 70 on the W07 of Hamilton while the SuperSoft has been used by few drivers (among which Vettel, who did 26 laps) given that it was compulsory to use the Soft during the race. Considering the differences between last year’s compounds and the ones of this year, it could be possible to set up a race on a one-stop strategy (UltraSoft + SuperSoft) but everything will have to be verified in the free practice 2 of Friday. It’s important to highlight that Ferrari opted for a quite aggressive choice with 9 sets of UltraSoft against the 8 of Mercedes and the 7 of RedBull. Conversely, many “yellow” sets has been chosen by Wehrlein and by both divers of Force India, Toro Rosso and Renault. 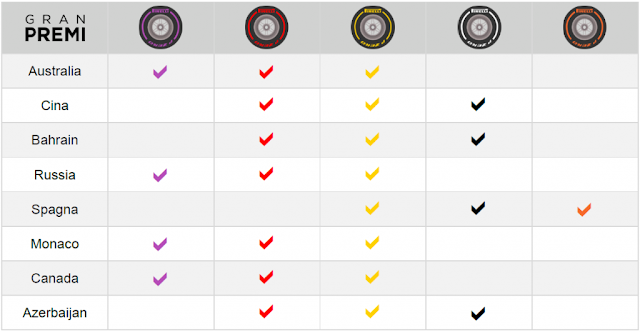 Let’s remind that the UltraSoft and the SuperSoft are Low Working Range compounds, easier in terms of getting to the right temperature but also easier to overheat (mainly on the rear), while the Soft is a High Working Range compound with which Mercedes have not had any relevant problem in this first part of the season. In terms of weather, after the sunny weekends of the Spanish and Monaco Grand Prix, we can have some “wet” surprises as it is possible to see in the next picture. Sunday, race day, will be the sunniest day with the lowest chance of rain of the three days with temperatures reaching a maximum of 25°C. 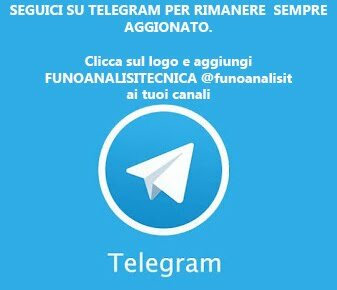 Anyway, as always, we have to wait for more detailed forecasts of our weatherman Andrea Pini in the next days (ONLINE - LINK). Does the Canadian track historically fit perfectly to the Mercedes characteristics? We don’t care: we think that the the team with the highest chance of win this weekend is Ferrari because the SF70H has proved to be a car that is able to adapt outstandingly to every kind of track , exploiting the maximum potential of the Pirelli tyres (especially the softest ones that are going to be the most used in Montreal). Ferrari did a remarkable jump in terms of performances with respect to 2016. 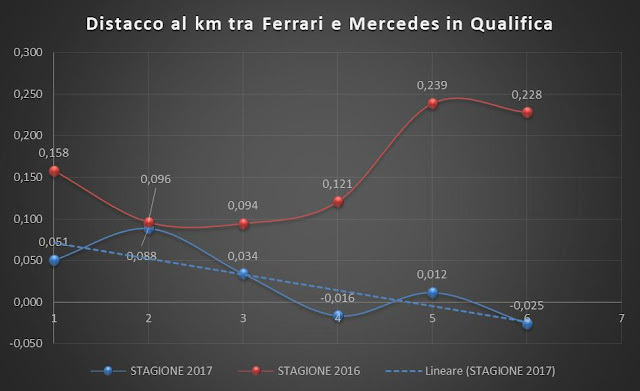 As you can see in the graphs concerning the kilometric gap in quali from Mercedes, the Team from Maranello has been able to outperform 2 out of 6 times the Team from Brackley (thing that, during last season, has never happened). If we analyze the average gap we see that it dropped from 148 thousandths/km to 24 thousandths/km. Given that the average lenght of circuit this season is 4,9 km we can say that Ferrari has reduced the gap of 6 tenths per lap. Ferrari will introduce some new aerodynamic parts in Canada to adapt the SF70H to the characteristics of the track. The SF70H can count on its “friendly” relationship with tyres that, as we saw in Monaco, will be very important. Tyres that, especially the front ones, will be once again difficult to get to the right temperature given the lack of fast corners. You can see the many 1 and 2 indicated in the picture of Pirelli. No problems instead on the rear tyres given the many accelerations that will help the tyres to reach the right window of functioning. Ferrari that, as we saw in this first part of the season, has no problems of this kind unlike Mercedes that is in big troubles. Mercedes, in the days after the Monaco GP, worked very hard in the factory to try to find out the causes to the problems of this season. These analysis focused mainly on Lewis Hamilton given that, both in Sochi and Monaco, the performances of the of the triple world champion has been very negative if compared to the ones of his teammate. For this reason Hamilton was at the factory last Thursday for an important briefing together with his engineers (and Lauda-Wolff) to analyze the problems that he is having particularly with the UltraSofts. The solution to these issues seem to be yet unclear, confirmed also by the fact that, some days ago, a rumour about a possible change of chassis for Hamilton came out. Chassis that won’t be substitued, both for Hamilton and Bottas who will use the one introduced in the last Spanish Grand Prix. The problems of Mercedes seem not to be due to a longer wheelbase but mainly to an incorrect distribution of weights (too much weight on the rear, less on the front) that is yet impossible to be modified given the fact that the weight of the W08 is still greater than the minimum imposed by the FIA (and consequently no ballast) and to some kinematics of the suspensions that the engineers are accurately studying: on this aspect it is not excluded a modification of the mechanic parts of the German car in a brief time. The problems of Sochi and Monaco can show up again in Canada, confirmed by the fact that Bottas brought two sets of Soft to make some comparisons during free practices; it is possible that they will be then used during the race if the results are good. In terms of pressures, Pirelli lowered them also in this case with respect to last season (1 psi on the front and 0.5 on the rear) but in a less drastic way with respect to Monaco. 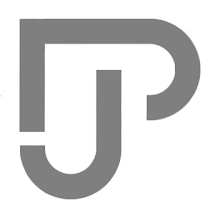 This could favor Mercedes (even if less than Ferrari). The third force on track will probably be RedBull that is going to be however be less close than what happened in Monaco. RedBull will for sure lack power due to a Power Unit that, unlike the rumours of some weeks ago, won’t be updated (only a small improvement for what concerns the transmission). A RedBull that, in 2016, has been quite competitive on this kind of track (very Power Sensitive) thanks to the updates introduced in that particular race. For Red Bull things are going in the opposite sense if compared to Ferrari, since the team from Milton Keynes is having worse performances than 2016 notwithstanding the fact that at the beginning of the year they were deemed as the main rivals of Mercedes. 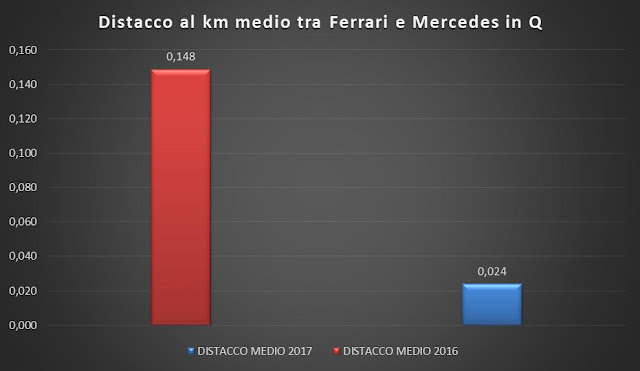 The kilometric gap from Mercedes, as you can see in the graph below, increased from 134 thousandths/km in 2016 to 189 thousandths/km in 2017. This data show that, Red Bull lost almost 2 tenths per lap on a track long 5 km. RedBull has also to be aware about the performances of the teams powered Mercedes that, from this weekend, will use the updated PU introduced in the Spanish GP.